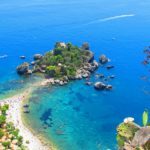 There’s no doubt, nature has been particular generous with our land and gave to this part of Sicily gorgeous coastlines and shores, with beautiful bays which will surely let you fall in love with Taormina. 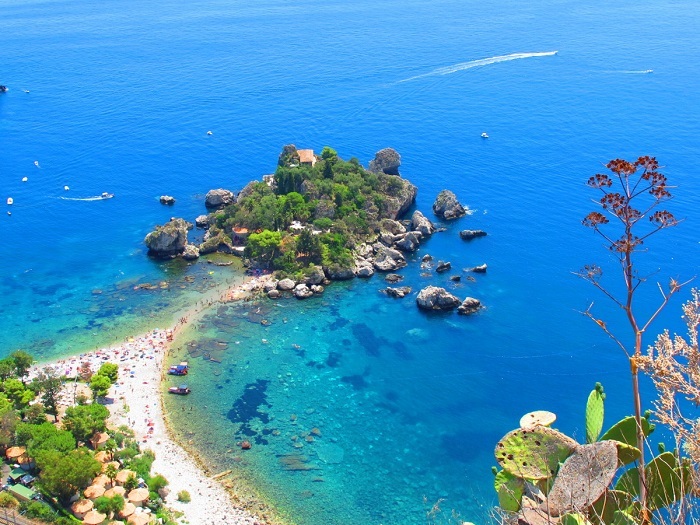 Taormina’s ( and surrounding )best seasides and bays are: Isola Bella, Mazzarò, Spisone, Villagonia, Giardini Naxos Bay, Mazzeo and Letojanni. These represents the most suggestive shores of the eastern side of Sicily. 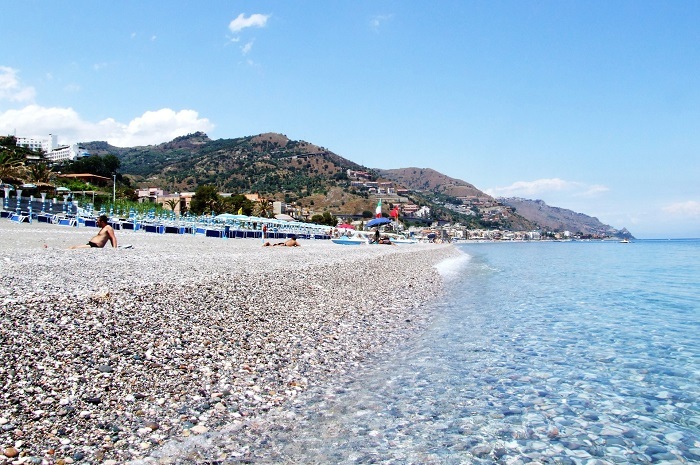 This beach is particularly know all over the world and is one of the most beautiful shores of Taormina. 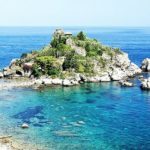 Located in a bay between Capo Taormina and Capo Sant’ Andrea, you can actually visit the little island thanks to a small strip of sand, which sometimes disappears because of high tide. The island is surrounded by a typical Mediterranean vegetation mixed with some Exotic plants, which have been planted by Lady Travelyan who owned the Island for a short period. On the Island there is also a small Villa which now days can be visited with private guides, inside you will find an interesting naturalistic museum. Water of this bay are extraordinary crystal-clear, so much to let you admire the seabed even far from the beach. 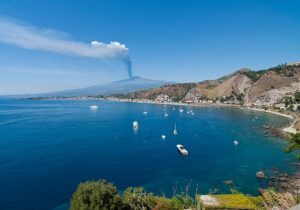 The island can also be well observed from the square Belvedere in Taormina, getting even more beautiful thanks to the landscape of Giardini-Naxos and Etna, literary a Post Card Landscape. From the Belvedere square you can also reach Isola Bella thanks to an old stairway, less than 10 minutes walk. The island is also reachable thanks to Taormina’s Cable Car which from the city center (5 minutes from Porta Messina) will lead you straight to the seaside. Once on the beach, you may choose to go in a private beach or just lay on the public free spaces, often very busy during summers. In the bay there are different Bars & Restaurants where to try typical Sicilian recipes. Relaxing under the Sun will indeed take your time, but there many other activities to be done while you are in this gorgeous natural paradise: Snorkeling is a must to be done, letting you watch the peculiar sea life of the bay, for adventurous Diving courses and boat excursions are available during the all summer season. Just near by Isola Bella, another characteristic bay is noteworthy: Mazzarò bay. 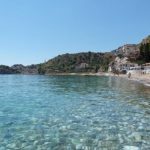 Thanks to it’s calm and crystal-clear waters this bay is a suitable place where to spend your days during summer time. Visited mostly by local people, there are both free beach and private beach clubs with restaurants and bars. 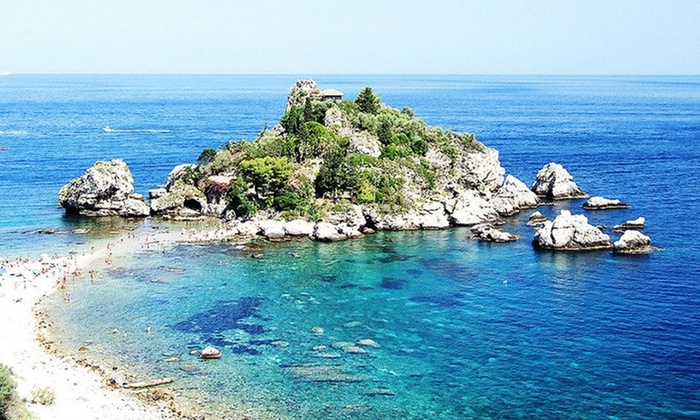 Spisone is a quite long coastline with whitish sand and crystal-clear waters. Spisone is located near by the highway exit and parking places can be easy to find. 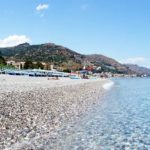 Most of the beach is public, free, but there also a few private beach clubs with restaurants ready to delight your days with Sicilian specialities. 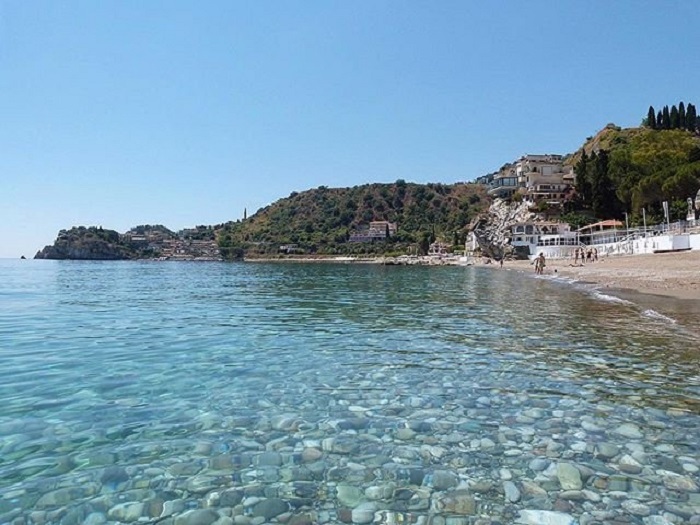 Villagonia is a natural firth located at the bottom of Taormina, with sandy beaches. 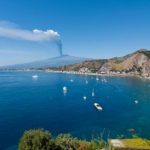 From Capo Taormina to Taormina’s border this beach is very popular thanks also the view that offers: dive in crystal-clear waters nd admire Etna on the landscape. 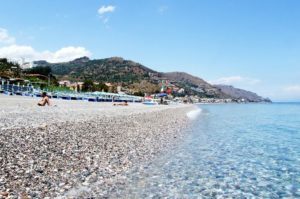 For those who seek relaxing and love uncrowded beaches this is the suitable shore to visit while in Holiday in Taormina. 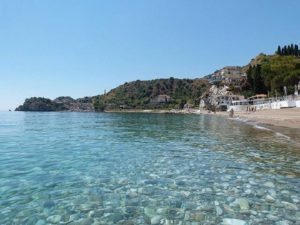 It’s located near by Taormina’s highway exit, at the border with Letojanni, wide sandy beaches, most of it public, here you will be able to spend your days in total relax and not surrounded by the crowd.